Katherine Lynch is the founder and Director of the University of Hong Kong’s LL.M. in Arbitration & Dispute Resolution - the Law Faculty’s first ever professionally accredited LL.M. program. She is an Associate Professor specializing in arbitration, dispute resolution and company law. Katherine has designed and taught a broad range of undergraduate and postgraduate courses on arbitration, dispute resolution and company law. She was appointed and served as Associate Dean of the HKU Faculty of Law from 1999 – 2002. 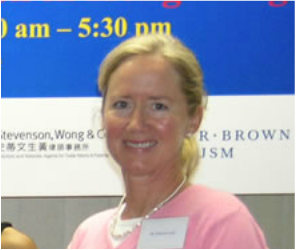 Katherine’s outstanding teaching efforts and her contributions to innovative teaching and curriculum design in the Law Faculty have twice been recognized with the award of both University of Hong Kong Teaching Fellowship (2004) and HKU Faculty of Law Outstanding Teacher Award (2012). Katherine is active in community engagement and knowledge exchange activities in Hong Kong and she has been a Stanford University Research Fellow and Visiting Research Scholar at the UBC Faculty of Law.